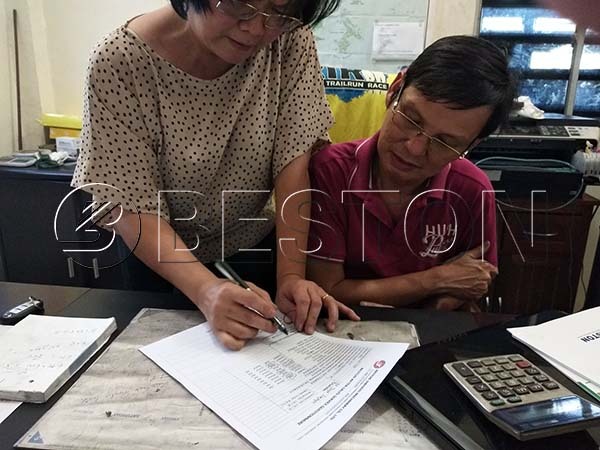 On July 2nd, the sales manager of Beston Machinery went to Indonesia to visit our old customers there. 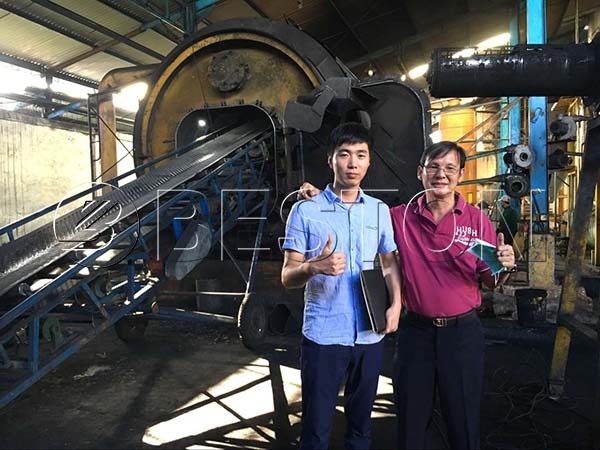 The client purchased a 10-ton waste tire pyrolysis plant in 2016. Our sales manager visited the pyrolysis plant in the company of our clients and also got sincere feedback from them. 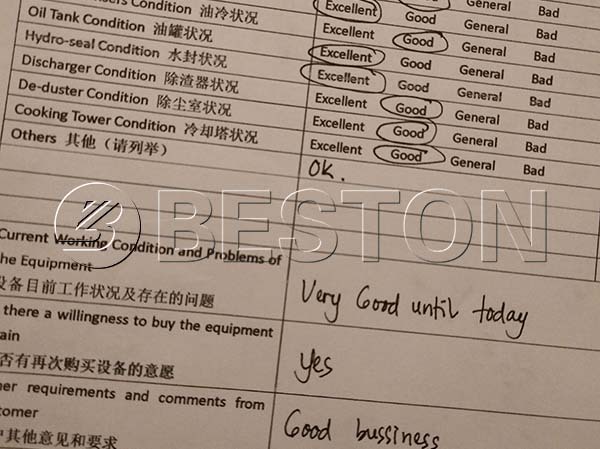 As the after-sales feedback shows, our clients are very satisfied with our machine and service. 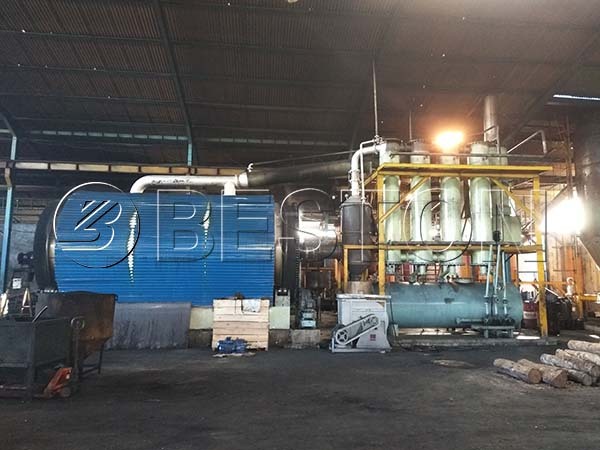 Meanwhile, we are glad that our waste tyre pyrolysis plant is always in good working order. And we are excepting to provide the best products and service to more old and new customers around the world. Today, Beston has three types of waste pyrolysis plants for sale, namely batch operating plant, semi-continuous plant, and fully continuous plant. Among them, there are 4 models, whose daily capacity ranges from 6 to 24 tons. The one we installed in Indonesia is a batch pyrolysis plant which can process 10 tons of waste tires per day. In addition to waste tire, our waste pyrolysis plant is also suitable for waste plastic, rubber, oil sludge, and even medical wastes, etc. Because of the wide application and various options, our waste pyrolysis plants are very popular among investors. In addition, Beston is a professional waste recycling equipment manufacturer. With years of experience, our products cover waste sorting equipment, charcoal making equipment and waste pyrolysis equipment. That is to say, Beston has developed mature technology on waste recycling line. Because of our patent technologies, our waste recycling plant is more effective and stable to save more money and time for customers. Also, it can meet the Eu emission standards with the multiple dedusting systems. That’s why our waste pyrolysis plants can be successfully exported to many countries, such as South Africa, Australia, Korea, Uzbekistan, etc. and always win high praise around the world. Moreover, we have also developed a full pre-sales and after-sales service system. You will enjoy partnering with Beston Group.